On Thursday July 24, Avaal Technology celebrated the graduation of its 20th successful batch of students for the Avaal Dispatch Specialist Course at its Winnipeg campus. The graduating students took part in a 20 hour program, where they experienced both classroom and actual hands-on job training to prepare them for their future careers. The course modules introduce innovative techniques to effectively launch and operate small to large scale trucking companies with an emphasis on strategic business management. Key modules include freight matching, route optimization, border crossing, and obtaining freight contracts. Avaal trains students on TransCore's 3sixty line of software solutions. The computer based applications are designed to streamline the fleet management process, and ultimately help companies increase profit levels. Graduates from the 20th batch included: Shubhneet Kaur, Tanya Singh, Jagmohan Singh Guru, Harjit Singh Sekhon, Chanpreet Singh, Paramjit Singh Mahay, and Yu Gao. After the ceremony, students and guests were served dinner by Avaal staff and participated in a group photograph session. Special guests in attendance included Bhupinder Toor, host of Radio Dhamal, and Ravi Chahal, owner of Creekside Transport Ltd. Avaal appreciates the support of all of the individuals who took time out of their busy schedules to present the students with their certificates, while providing motivating speeches for the students who successfully completed the course. 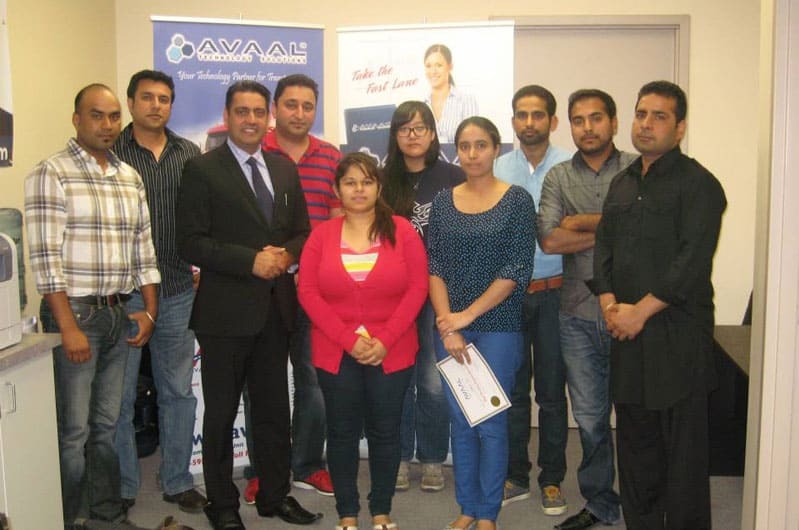 Avaal's next batch in Winnipeg is scheduled from August 25 to August 28, 2014.